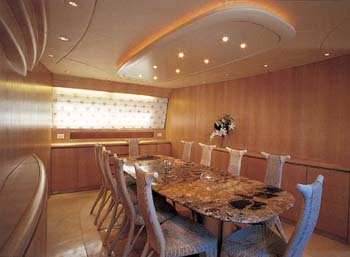 An excellent new yacht built in 1999, with sleek and unique modern lines and very luxurious. 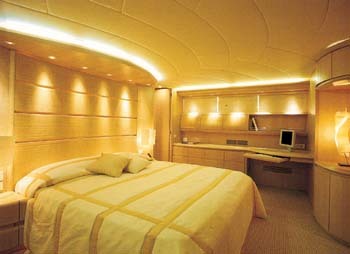 Its 4 staterooms, all with ensuite facilities, can comfortably host 8/10 guests. Its crew of 5 will make sure that guests needs' will be catered to the maximum. Guests can dine on the sundeck enjoying the view or sunbathe in privacy. Equipped with the latest navigation and communication equipment such as; autopilot navicontrol, 4x depthsounders, wind indication instruments Simrad, GSM cellular telephone and fax, Intercom Hailer. IF is manned by a professional crew of 5. 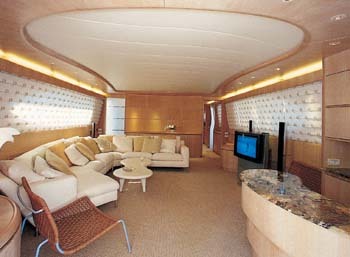 ACCOMMODATION : For 8 guests in three cabins and one twin cabin. All cabins, with en suite facilities.